The windows presented here are from churches. Each window was commissioned to fit a physical space and artistic desire. The client has final approval of design, color and type of glass used in fabrication. 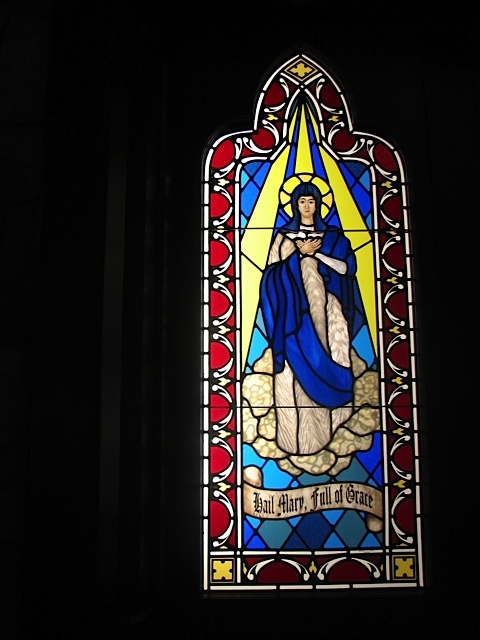 Windows at the Grace Episcopal Church are 20” x 51”. This window is located in Grace Episcopal Church in St. Helena California. It is 19” x 51”. It was designed and installed March, 2007. 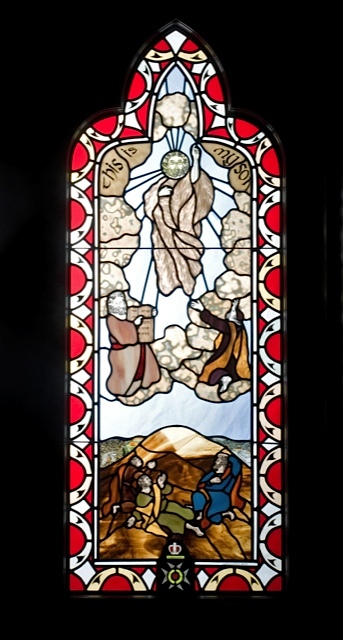 This window is located in Grace Episcopal Church in St. Helena, California. It was designed and installed March, 2007. 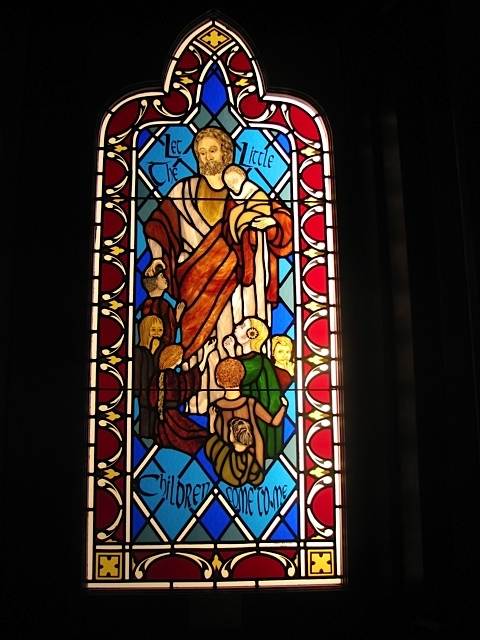 This window is located in Grace Episcopal Church in St. Helena, California. It is 19” x 51”. It was designed and installed March, 2007. 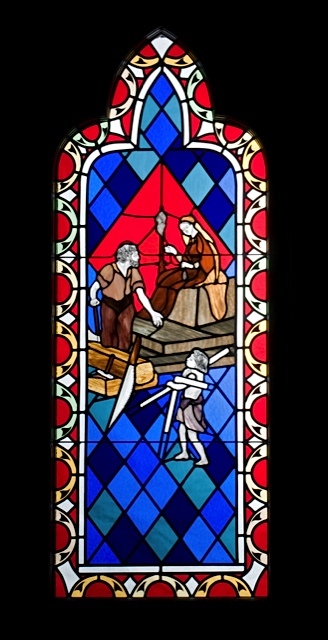 The Hackshaw window is located in St. Augustine Episcopal Church in Oakland, California. 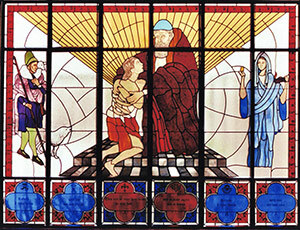 When we get a commission for a church window we design around the theme that is chosen by the client. If there are existing windows we design the theme to match the style of the existing windows. 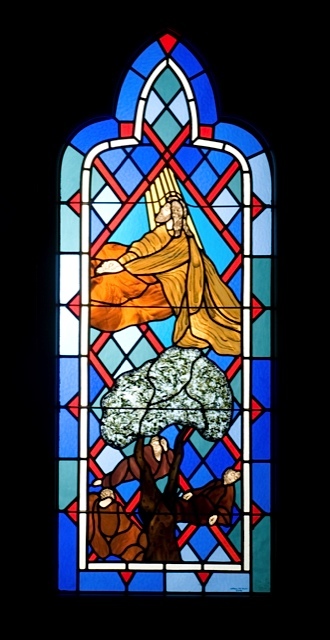 This window is located in the fellowship Hall of Grace Episcopal Church in St. Helena, California. It is based on the gospel of Luke about the prodigal son, the lost sheep, and the lost coin.